Suneet regularly speaks about social innovation at various forums internationally. Among others, he spoke at the Internet Freedom Conference in Stockholm, the Beyond Access conference in Washington, D.C. and the Digital World conference in Dhaka. 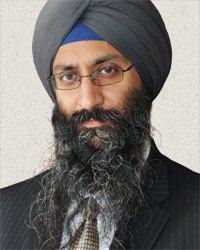 Suneet graduated in 1990 with a Bachelor’s degree in Applied Science in Engineering from the University of Toronto.